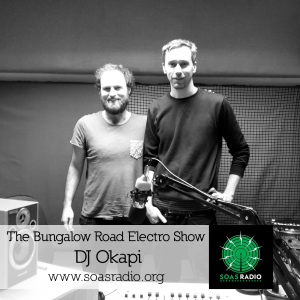 Johannesburg-based crate digger, record store owner and curator of Afrosynth blog, DJ Okapi came to SOAS Radio whilst on tour in the UK to play a selection of South African vinyl on the Bungalow Road Electro Show. DJ Okapi took us from the early 80s to the mid 90s, tracing the development in electronic music from disco and ‘bubblegum’ through to pantsula and kwaito, placing the tracks in context with the eras which they’re from. Big thanks to DJ Okapi for coming on the show and sharing some tracks. Find Dj Okapi and Afrosynth Records on facebook here and here, instagram here, some of his mixes on soundcloud and more information on the sounds of electronic South Africa in the 1980s and 1990s on the Afrosynth Blog. Garden-Route based electronic music producer Jumping Back Slash brought his 'Afrotroniks, gqom romance, afrikan tekno,... Read more..